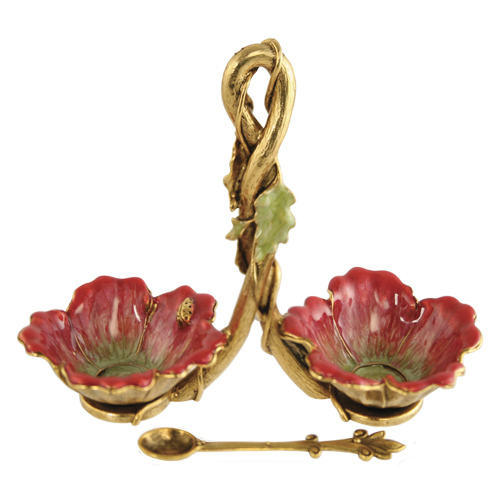 Double floral shapped salt dish joined joined by a vine handle. Measures 4 1/2" x 3". Made of fine pewter and enhanced with enamel colors and silver. Made in NY City.